With its short wheelbase, progressive steering as standard and up to 190 hp, the compact Audi Q2 is in its element on winding terrain. But to get the most from its performance, a “healthy” and perfectly matching suspension is a must. BILSTEIN has the solution, with the right components for wear-and-tear repairs and performance tuning. For repair work that meets the highest standards, the BILSTEIN B6 gas-pressure shock absorber is ideal as an “improved OE replacement”. It ensures optimal performance and comfort due to even greater damping force and makes driving both fun and safe in any situation: be that fully laden or on highly demanding roads. Those wishing to lower their car with sport springs should certainly consider the shortened high-performance shock absorber, the BILSTEIN B8. It offers the Audi Q2 an even more dynamic performance en route and ensures the optimal spring/shock absorber balance. The B12 complete suspension kit, which is fine-tuned in road tests together with the spring manufacturer Eibach, offers the perfect all-round carefree package for sports-orientated drivers, which will soon round off the range on offer. 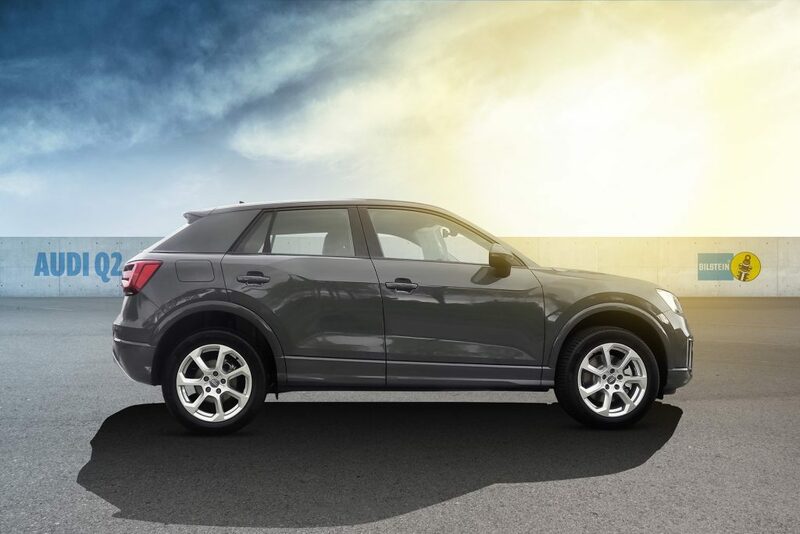 Its great features include a uniform, moderate lowering and precise responsiveness, excellent driving dynamics and high safety margins; making the Audi Q2 a sight to behold when driving outside the urban jungle too. AmD cater for most makes and models. Please call for prices and availability – 01708861827.